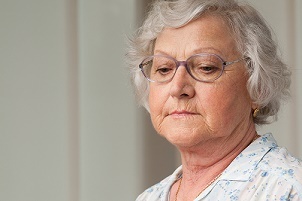 Anxiety is one of the most widespread and incapacitating mental illnesses among seniors. Anxiety is almost twice as common as dementia and yet it is overwhelmingly under-diagnosed and under-treated, despite many treatment options. The combination of anxiety and seniors can happen for many reasons. Here is a guide to help you recognize signs of anxiety in seniors/elders and to seek help as soon as possible. When is anxiety considered a disorder? Who is at risk for anxiety disorders? Anyone, at any age can be affected by anxiety but seniors with existing physical or mental health issues like heart disease, diabetes, or depression may be at an increased risk. Specific events like the loss of a loved one, changes in health or independence or even new medication can trigger anxiety. There is an increased risk of severe anxiety if there is a family history of mental health issues. Anxiety can present itself in a number of ways. Below is a brief summary of the main symptoms associated with each disorder. You should always consult a physician for an official diagnosis. 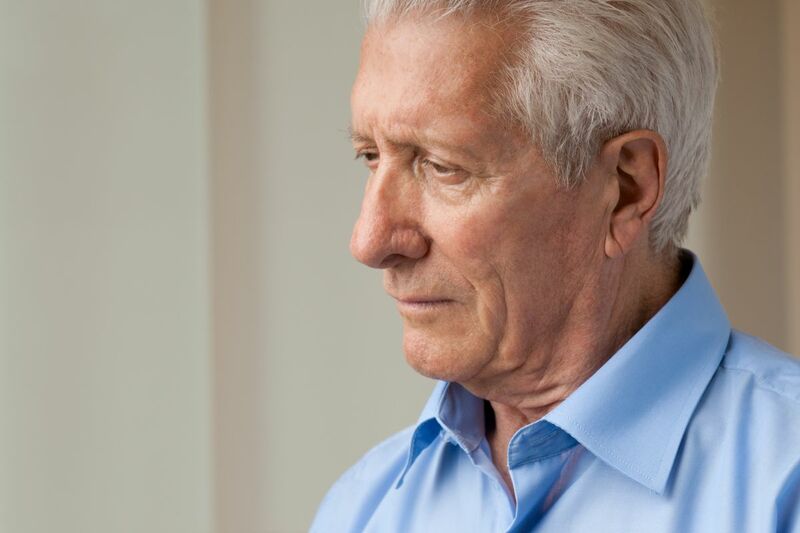 – Generalized Anxiety Disorder (GAD): Seniors who suffer from GAD experience constant, overwhelming anxiety about multiple areas of their life, such as relationships, finances and health, even when nothing is wrong. Physical symptoms include muscle tension and aches, sweating, nausea, dizziness, shortness of breath, fatigue, trembling, and difficulty swallowing, concentrating and sleeping. – Specific Phobias: A specific phobia is a severe, irrational fear of an event, thing, or place that does not actually pose a considerable threat. Even thinking about the phobia can trigger panic, shortness of breath, dizziness or nausea. Common specific phobias include elevators, small places, heights, medical procedures and death of a loved one. – Post-Traumatic Stress Disorder (PTSD): PTSD occurs after a traumatic event that has caused harm to the individual, a loved one, or even a stranger. It can result from abuse, accidents, natural disasters, assault or war, and can develop days, months and sometimes years after the event. Common symptoms include intense flashbacks and nightmares, irritability and aggression, emotional withdrawal and numbness, and a loss of interest in hobbies. What can be done to treat anxiety? Anxiety does not have to control your life. If you or someone you know shows signs of a disorder, consult a physician or mental health expert immediately. Once a diagnosis has been made, there are a number of successful options available to help manage anxiety, including therapy, medication, support groups and coping mechanisms. Be proactive in seeking help and finding the right treatment. Two popular treatments for anxiety right now are cognitive behavioural therapy (CBT) and mindfulness. CBT focuses on the way people think (“cognitive”) and act (“behavioural”). The concept behind CBT is that our thoughts about a situation affect how we feel (emotionally and physically) and how we behave in that situation. Cognitive behavioral therapy helps you become aware of inaccurate or negative thinking, so you can view challenging situations more clearly and respond to them in a more effective way. In some cases, cognitive behavioral therapy is most effective when it’s combined with other treatments, such as antidepressants or other medications. CBT has been shown to be effective in the management of anxiety and depression, and is as (if not more) effective as treatment with medication alone. Research also shows that people experiencing anxiety and depression are less likely to relapse when treated with CBT. Mindfulness has been shown to be as effective as CBT in reducing anxiety. The notion of mindfulness dates back to ancient Buddhism. It involves accepting the present moment and focusing on the sensations, feelings, and thoughts that are happening right now. Being able to reduce the extraneous “noise” from anxiety, worrying, and fear can help people focus on and live in the moment, and also allow them to lessen unnecessary stress. Anxiety and seniors: how can a senior home care service provider help? At Retire-At-Home Services, Toronto, we have clients who suffer from anxiety. Loss of good health, loss of independence, and fear of a progressing degenerative disease can all contribute to anxiety. Although we are not therapists, we provide a helping hand to help make things easier; friendly companion care, personal support workers (PSWs), and nursing care to reassure and help with practical everyday tasks. Home health services can take the form of having a worker sleep overnight at a client’s house for reassurance and company, to companionship while at a doctor’s appointment. For more information and resources, please visit Anxiety Disorders Association of Canada at http://www.anxietycanada.ca whose mission is to promote the prevention, treatment, and management of anxiety disorders across Canada, and to improve the lives of Canadians who suffer from them.